Apple once contemplated providing access to both sensors on the back of a dual-camera iPhone, allowing users to see the live view at different zoom ranges at the same time on an iPhone's display, and the potential capturing of images from both views simultaneously. A patent application from Apple published by the U.S. Patent and Trademark Office on Thursday describes a "Digital Viewfinder User Interface for Multiple Cameras." Effectively, it describes how a digital viewfinder, such as the camera app included in iOS, can be used to show images from multiple cameras, like the two cameras on the back of some iPhone models. The current camera app allows users to digitally zoom the image across the entire available range offered by the two fixed focal length cameras, switching between the two where appropriate. The software also combines images from both sensors, in an attempt to provide an attractive composite image when the zoom lies somewhere between the optimal ranges of each camera. 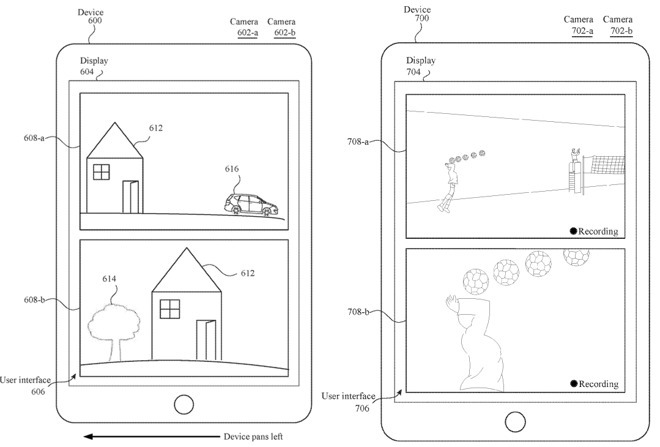 According to the patent application, Apple considered offering the ability to see a live view from both of the rear cameras simultaneously, instead of a single viewfinder. Showing the image in both would allow users to more easily see if a zoomed-in shot would be better than a wider photograph, as well as for other purposes. In this dual view mode, it would be possible to zoom each camera independently, as well as to pan the digitally zoomed area around an individual camera's field of vision separately from the other. In theory, this could allow for two photographs to be taken simultaneously, with each image framed differently to show the full scene and a zoomed-in section, or for framing completely different areas. This would also extend to video, capturing two feeds with different views at the same time. This would have similar benefits to stills, including one video showing a smaller section of the other but at a higher resolution, potentially highlighting smaller events in a bigger scene. The patent application also suggests this could also enable composite images to be created, combining together the views of both images from the two digital viewfinders, as well as for video. It is unknown why Apple did not include a dual view option in the camera app, but it is likely due to the extra processing and resource usage needed for it to function. It is also likely that Apple went with the single-view approach, complete with composite image usage, to simplify the camera app for all users with a clearer interface and easy-to-use zoom function, rather than making it more complex by adding even more options. Apple regularly applies for patents, filing ideas with the USPTO tens or hundreds of times a week, and in many cases the company doesn't commercialize the described concept. As a result, there is no guarantee aspects of applied patents will make an appearance in future Apple products and services. It is plausible that Apple may alter the camera app to offer multiple live views from each rear sensor in the future, but not as a default view. 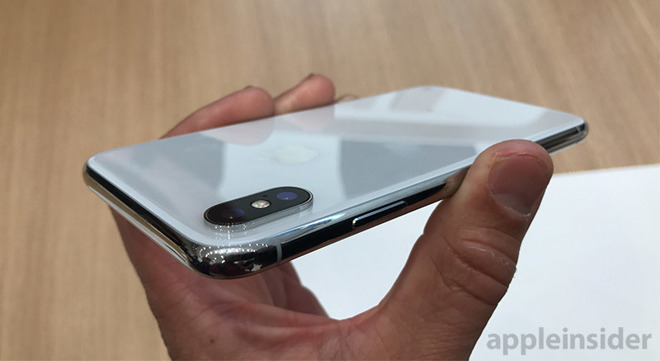 The rumored addition of a third rear camera added to the 2019 iPhone refresh could be a good opportunity for such a feature to be introduced, if reports turn out to be factual.